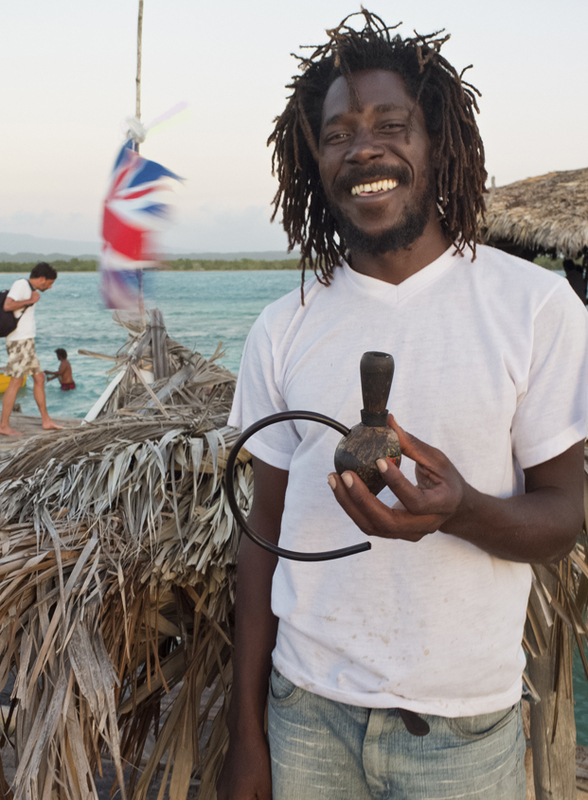 Few destinations are so coloured by a citizen as Jamaica is by Bob Marley. One simply can’t travel to this Caribbean island without having his heartfelt lyrics and catchy tunes at the back of one’s mind. At least I couldn’t. I even thought I saw the man himself on a few occasions. There are many dreadlocked rastafaris to choose from. But of course, they weren’t him. Marley (not Bob) and me at the Pelican Bar, off Treasure Beach. Still, even if Mr Marley himself is no longer around to provide the world with revolutionary tunes, his spirit is alive and kicking. His ethos and spirituality lives on in Jamaica’s people who amazed me. Jamaicans are polite, funny, fun loving, proud and how do I put it, constantly on the pull. There are marriage proposals left, right and center. But all done in a light hearted way which never feels threatening. As a woman travelling a lot by myself, my rule of thumb is never to walk alone at night. However, things don’t always go as planned. 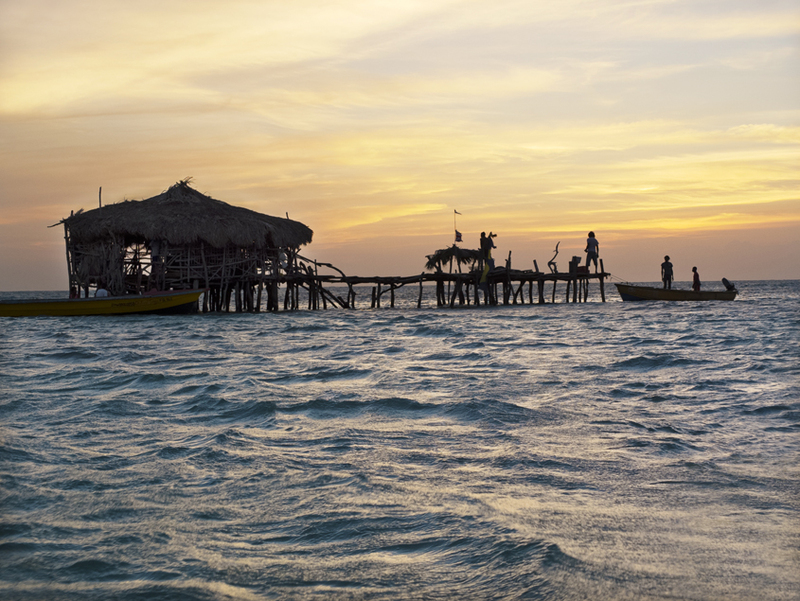 On this recent trip to Jamaica I found myself alone at The Pelican Bar at sunset, and at one point I did think ‘was this such a good idea’? It was me, my skipper and the three guys working at the bar – Lincoln, Buddah and Marley. I was determined to get stunning sunset pictures of this spectacular fisherman’s canteen in the middle of the ocean, and in my quest to do so, I had totally underestimated how quickly it gets dark once the sun has set. But I had no reason to worry. The bar staff may have been sky high and not making any attempt to hide their favourite leisure activity, which was to get even higher, but they were on their best behaviour and seemed proud that I was taking such great pleasure in photographing their local hang out. It struck me then as it strikes me every so often, that the world is a good place. People are people wherever you go, and most people just want to have a good time. Or as Bob Marley put it: Let’s get together and feel alright.